Place cream cheese into deep pie plate. Stir until smooth. 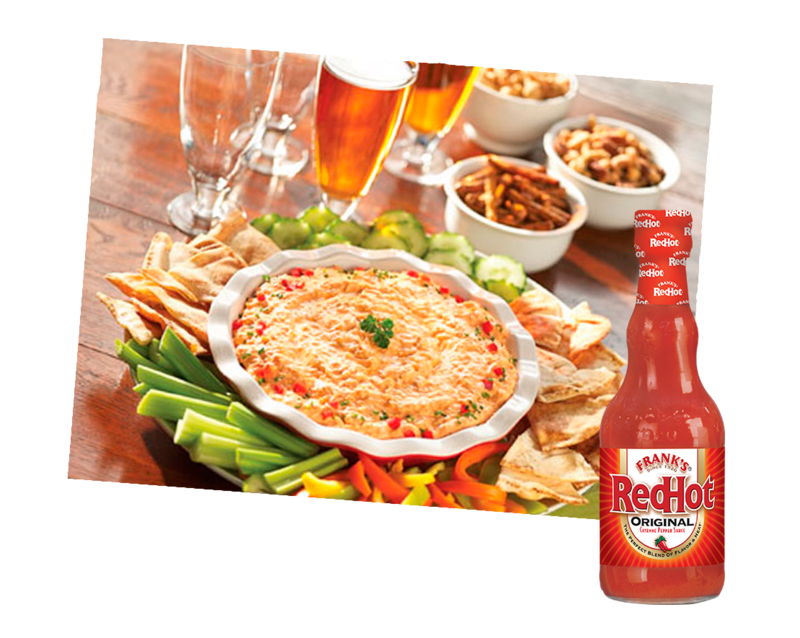 Mix in salad dressing, Frank's RedHot Original Cayenne Pepper Sauce and cheeses. Bake on 180°C for 20 minutes or until mixture is heated through and stir. Garnish as desired. Serve with crackers or vegetables.